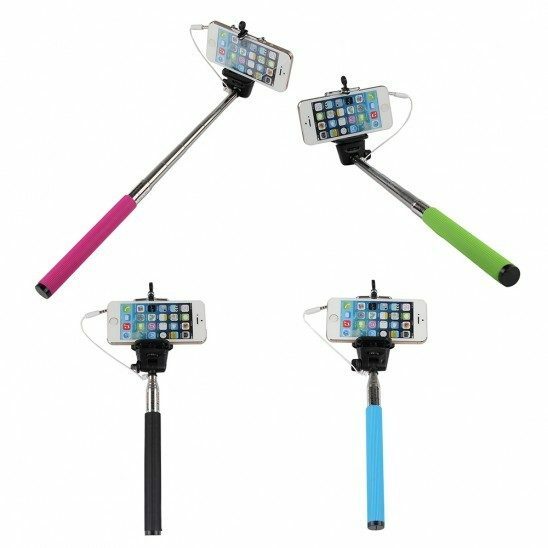 Aerb Wired Monopod Selfie Stick Just $4.88! Down From $29.99! Ships FREE! You are here: Home / Great Deals / Aerb Wired Monopod Selfie Stick Just $4.88! Down From $29.99! Ships FREE! GearXS has this Aerb Wired Monopod Selfie Stick on sale for $4.88 (Reg. $29.99)! Selfies are all the rage these days with everyone from kids to adults. But sometimes your arms aren’t long enough to include everyone in the shot, or no one is around to take your picture and capture the perfect selfie. The simple to use functions mean you’ll have the perfect selfie with the press of a button. Just plug the included wire into your phone’s headphone jack, extend the selfie stick, and press the button on the handle of the stick. The stick works with most iOS, Android, and other smartphone models. Order yours today.